You know what my favorite lunch is? 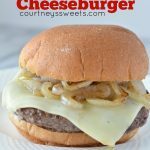 One that’s easy to make and FULL of flavor! 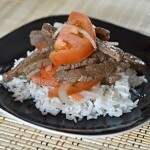 Love steak, but need more salad in your life? 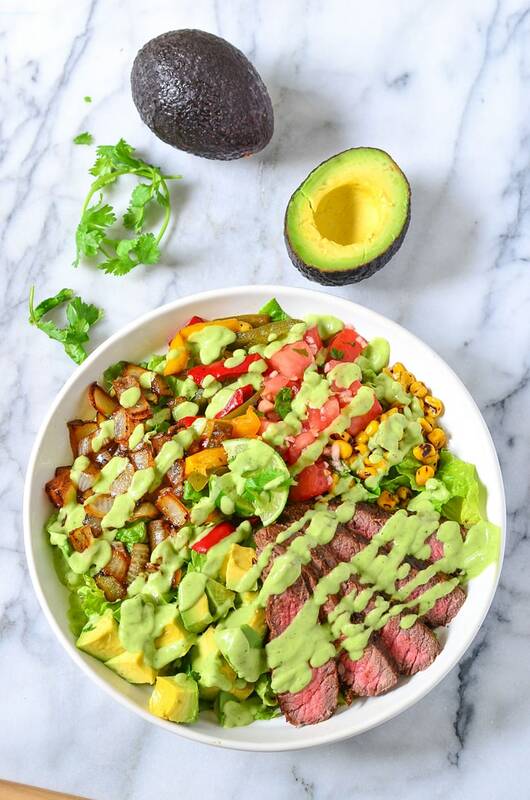 This Steak Salad Recipe with Homemade Avocado Cilantro Lime Honey Dressing is the perfect recipe for your meal plan! We’re an avocado-loving family! 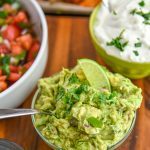 We love Hass avocados, and they must be from Mexico for us! The flavor can’t be matched and neither can the texture. Avocados From Mexico stay true to their essence and heritage. 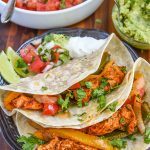 They’re so versatile and can be used for so much more than just guacamole. You can use them in dressings, ice cream, smoothies, sauces, soups, salads and more! Today we’re showing you how we love to use them in our salad and as the dressing as well. We’ll also be showing you how to pick out the perfect avocado! 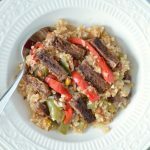 Summer is just about here, and we’ll all be firing up our grills, so we’re sharing a recipe that can mostly be made right on the grill, from the steak to the peppers and onions, SO GOOD and so much flavor! 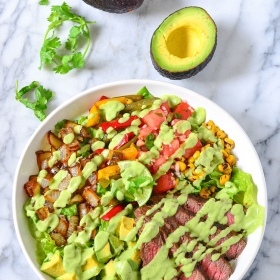 Steak Avocado Salad is definitely a favorite here and the Homemade Avocado Cilantro Lime Honey Dressing is so good you could eat it plain! 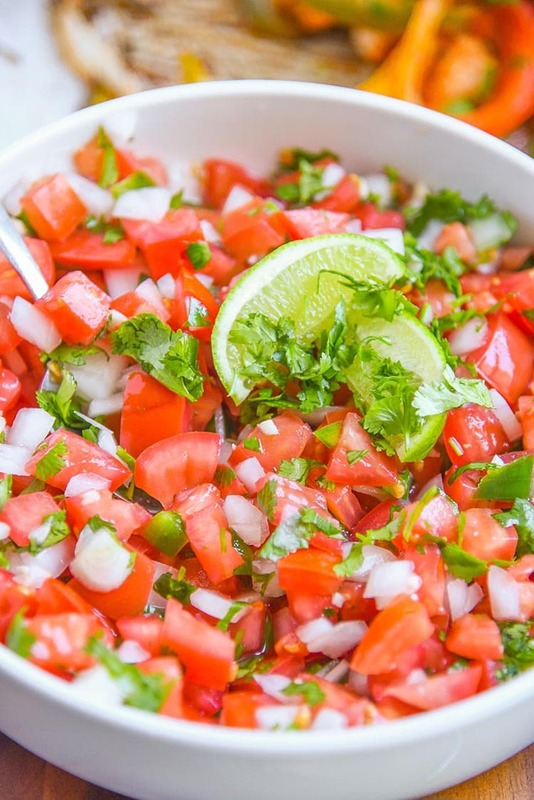 Naturally, we love Latino flavors. The more spice, the better! 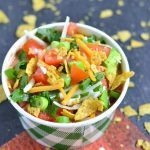 We love taking fresh and wholesome ingredients and mixing them into an enormous, delicious salad. You will have a super filling meal that is nutritious too! This is also how to pick a ripe avocado in the store or if you have some sitting on your counter. When an avocado is ready, you’ll notice that it goes from green to brown. You want it to have a little give to it. If it’s not ripe and just green, you should leave it on the counter for 3 days or so. When I remove the pit, I want to see a yellowish green, not bright green and definitely not brown. Once you cut it open, you can give it a little squeeze to remove the pit. No need for a knife if your avocado is perfectly ripe! Viola, now you know how to pick a ripe avocado! What does a ripe avocado look like? Glad you asked, here’s a visual on how to tell when an avocado is ripe. When is an avocado too ripe? The yellow spot you see will be brown, no bueno! Avocados are evergreen and always in season/siempre en temporada. Lucky for us, as we eat them daily and always have at least 4-5 in the house at all times. Keep them on the counter if they’re firm, and they should be ready in about 3 days. You want them to give a little bit, but not be too soft when they’re ready. Whenever they’re on sale buy them in bulk and freeze them. Yes, you read that right! We freeze avocados. Just remove the flesh from the skin and place it in a freezer-safe bag. If you have a freezer system that removes the air, even better! 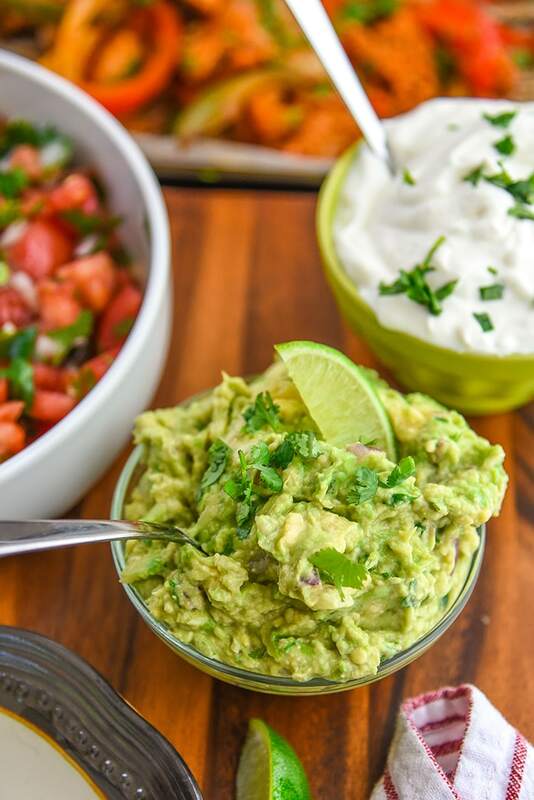 Once frozen, avocados can be used for things like smoothies, ice cream, dressing, and guacamole. Doing this ensures you’ll always have avocados when you need them, or you could just go and get some ripe ones at the store. Some think that avocados are fattening, but it’s GOOD fat, and they contain zero cholesterol. Now on to our salad! Avocados From Mexico make this salad. As I mentioned earlier, my family loves spice! We rub the steak with my homemade taco seasoning recipe and then add a nice amount of heat with chipotle powder. I cook the corn, peppers, and onions on the grill as well to give it even more flavor. This whole salad is about freshness, right down to the homemade avocado dressing. We make our Homemade Avocado Cilantro Lime Honey Dressing. If you don’t make this full salad, you must at least try the dressing-NOM! 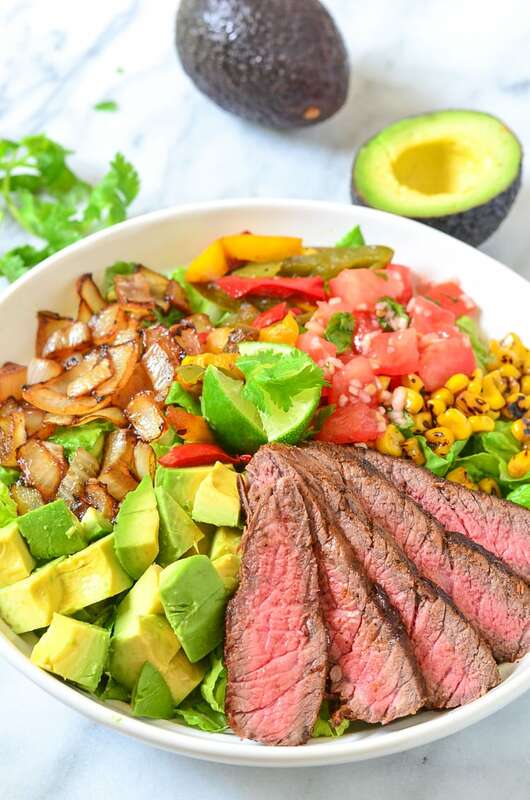 This Steak Salad is filled with grilled vegetables, ripe avocado, and a homemade cilantro lime dressing. Coat steak with taco seasoning and chipotle powder. Cook until desired temperature. Grill or sauté onions, peppers, and corn until soft, but still tender. 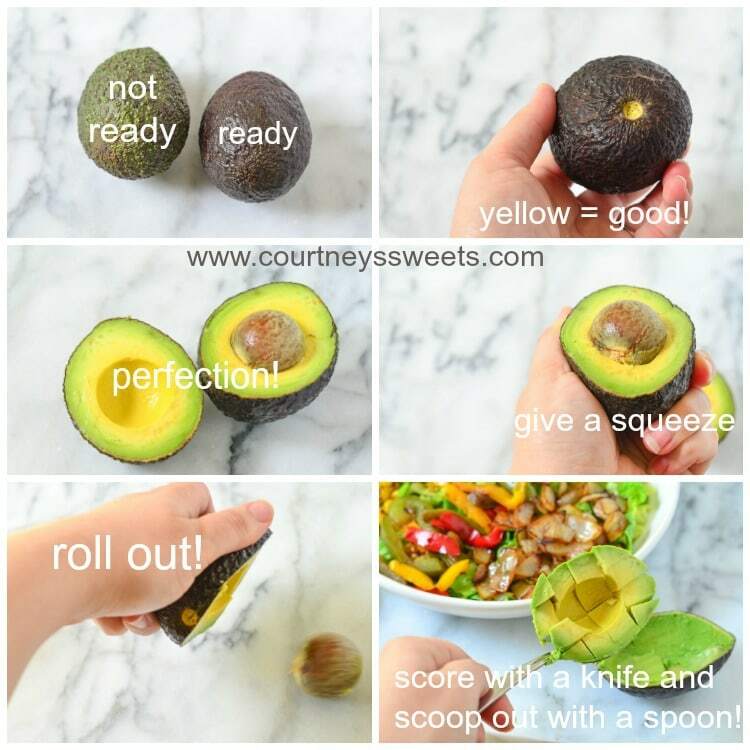 Cut avocado in half and score one side and spoon out chunks. 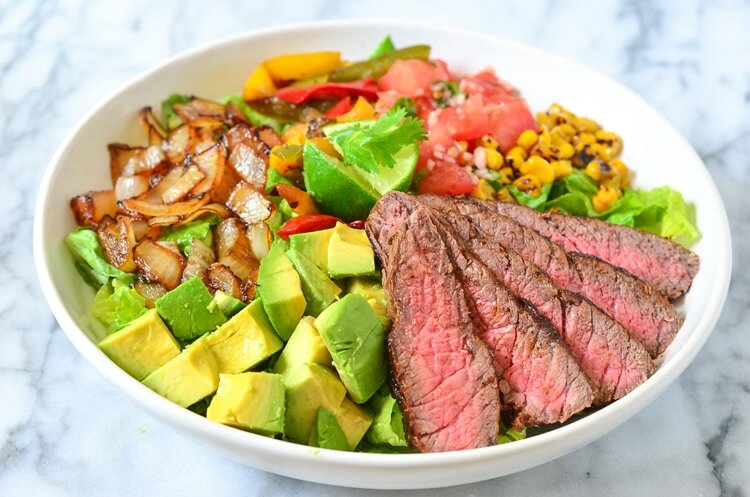 Place romaine into a large bowl and then top with steak, peppers, onions, corn, salsa, and chunks of avocado. 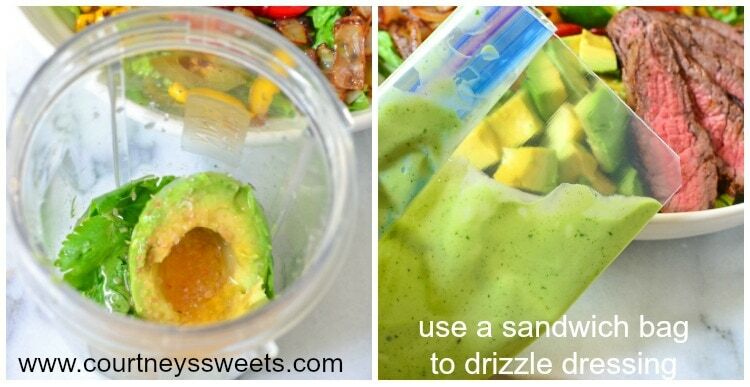 Take the remaining half of avocado and blend in a blender with remaining (dressing) ingredients. 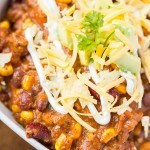 Drizzle dressing over salad and enjoy! 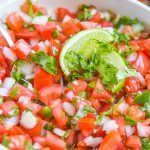 If you enjoyed our Steak Avocado Salad drizzled with Avocado Cilantro Lime Dressing, you’ll love our other Latin inspired recipes! We love salads for dinner in the summer. The dressing looks divine!